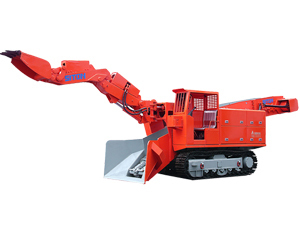 Special Models Crawler Mucking LoaderMain Overall Dimensions: Crawler contacting ground length: 2159mm; Crawler inner width: 1130mm(variable); Crawler plate width: 450/550mm; Ground clearance: 395mm(variable). Description of Crawler Muck Loader: The crawler muck loader is also known as tyre belt haggloader. We mainly provide two kinds of crawler mucking loader for clients worldwide: crawler muck loader for big slopes and crawler muck loader for level surfaces. The crawler muck loader for big slope is mainly used in the drilling of mine roadway and semi-coal roadway, and the slope angles should be equal to or less than 32°. Also, this kind of tyre belt haggloader can be applied in the loading operation of railway tunnel construction and national caves construction. Worked with the colliery hydraulic drilling machine, the crawler muck loader for big slope can achieve the mechanized operation of colliery drilling. The slope angle grade ranges from +20°to -32°. By improving its drilling speed, it can be used in the large-scale section. Our crawler muck loader for big slope can be divided into these types such as LWLX-80, LWLX-100, LWLX-120, LWLX-150, LWLX-180 and LWLX-60. (1) The crawler muck loader for big slope has strong loading capacity. By adopting lubricating crawler belt, it is easy to adjust the tension of the crawler attachment. 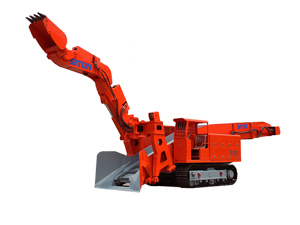 At the same time, by using the sturdy and durable excavator parts such as teeth, the product has a good inter-convertibility. (2) The conveyor can discharge rock into the auto dumper, Shuttle Mining Car, side-dumping car, belt conveyor, skip and other transshipment equipments. The dumping height is designed according to the requirements of our customers. (3) The major movement of this crawler muck loader is controlled by the pilot value, and this loading machinery works flexibly and can be operated easily. It also has a good climbing capacity and can work without impact. (4) By installing the hydraulic hammer, we can break, repair, and blast the huge rock and coal sheet on the roadway baseplate or on the bottom of the side-panel. (5) The working surfaces of this crawler muck loader will be cleaned automatically by itself. 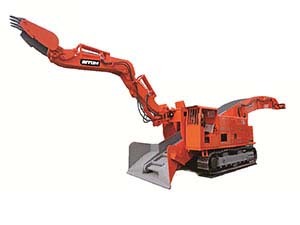 The crawler muck loader is also called crawler haggloader or slagging off machine. It is a kind of high efficiency and continuous production equipment used in coal mine. The crawler muck loader for level surface is mainly applied in drilling of mine roadway and semi-rock roadway.Besides, it can also be applied in the loading operation of railway tunnel construction and national caves construction. Working with the colliery hydraulic drilling machine, the crawler muck loader for big slope can achieve the mechanized operation of colliery drilling. The grade is from +20°to -32°. 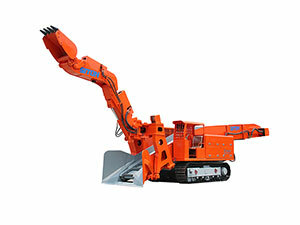 By improving its drilling speed, it can be used in the large-scale section. (1) The crawler muck loader for level surface has strong loading capacity. By adopting lubricating crawler belt, it is easy to adjust the tension of the crawler attachment. At the same time, by using the sturdy and durable excavator parts such as teeth, it possesses a good inter-convertibility. 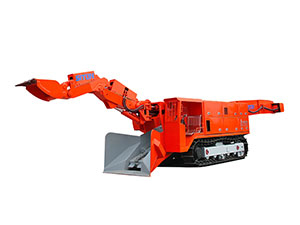 (2) The conveyor can discharge the rock into the auto dumper, Shuttle Mining Car, side-dumping car, belt conveyor, skip and other transshipment equipments. The crawler muck loader for level surface can be designed according to the requirements of customers. (3) The major movement is controlled by the pilot value. It is flexible and can be operated easily. It also has a good climbing capacity and can work without impact. (5) The working surface can be cleaned automatically by itself. LWL180 NEW, LWL-80 37 NEW, LWL-80 NEW, and LWL-120 ENEW. Company Brief: We are professional crawler muck loader (tyre belt haggloader) manufacturer in China. 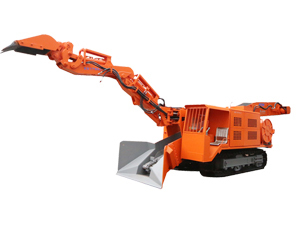 Our factory make full range of mining equipment such as Track Mucking Loader, tyre belt muck loader, wheel mucking loader, etc. With the the security certificate and the patent certificate of national grade, and years of effort on managering the markets, siton now processes more than 60% market share in this field. Our products are well received in Canada, India, Kazakhstan, Vietnam, Morocco, Algeria, Laos, Nepal, etc. If you are processing the underground projects and need the crawler muck loader (tyre belt haggloader), please contact us freely.